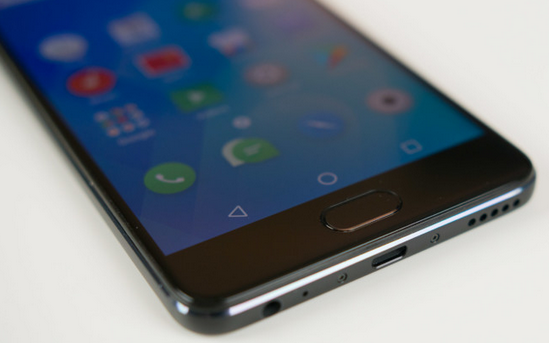 There are many reasons for which a new IMEI has to be written on some phones especially; android devices. And there are alternatives for writing or changing IMEI of most other android devices, but as for the SpreadTRUM android devices like iTel and Samsung; it is usually difficult or risky changing their IMEI. In this tutorial, I explain how to change both your iTel and Samsung android IMEI. - You are advised to do a complete backup of your android device especially; Samsung android device(s) users before you proceed. - iTel android device users may proceed to changing their IMEI without the backup but you are advised to root your phone though, it will still work without rooting. - Samsung and iTel android users: changing the IMEI may result in "NULL IMEI" therefore; proceed with caution. 2- ADB Drivers for the phone. In the case of Samsung and iTel androids, you need specific Samsung ADB drivers and SpreadTRUM ADB drivers respectively. 3- A compatible USB Cable for the phone. 4- Download this Windows Program, the SPD IMEI Writter from here. 1- Download and unzip/unrar the SPD IMEI Writer you downloaded from the link above. 2- Open the Program: open the folder where you extracted the SPD IMEI Writer above. Locate the file as in the image below and double-click it. If developer options is not shown on your phone, simply go to Menu >> Settings >> About Phone then; tap the phone's Build Number continuously until it says "You are now a developer". You can now go back to settings to see your developer options there. 4- Connect the Phone to PC: using the USB Cable, connect the phone to the PC. Wait few seconds while the PC installs the necessary drivers on the PC. 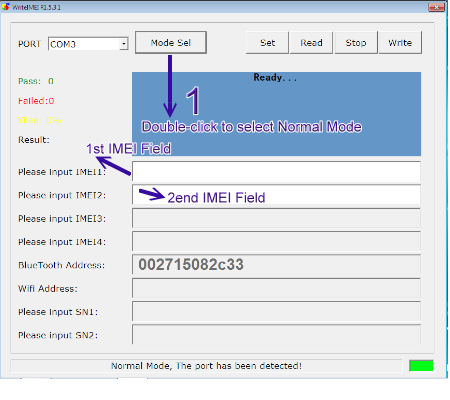 5- Now, on SPD IMEI Writter, select "Normal Mode"
6- Type both IMEIs you wish to swap on the phone in the space provided as seen on the image above. If you don't want to change both IMEIs, you must include the original IMEI for either of the SIM on its appropriate field. 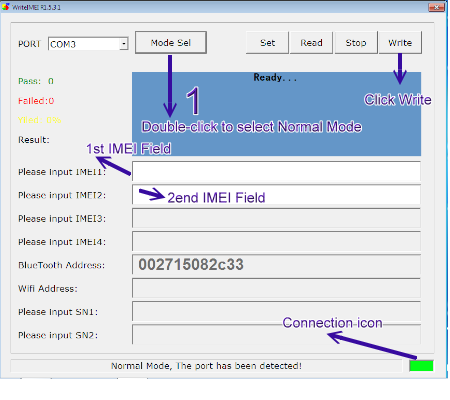 E.g: if you want to change only the SIM 2 IMEI, simply type the original SIM1 IMEI on the IMEI 1 field and the IMEI you wish to swap on your SIM 2 on the SIM 2 IMEI field as in the image. 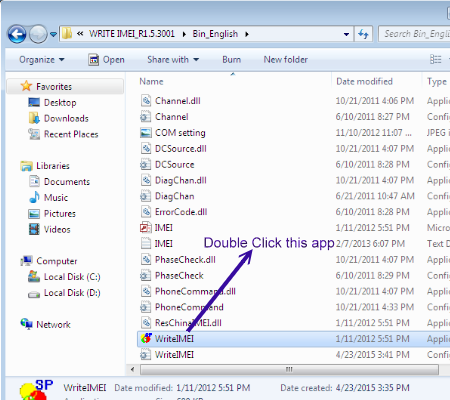 7- Write the IMEI: now, click "Write" and wait few seconds until the "IMEI Write Successful" message is displayed. 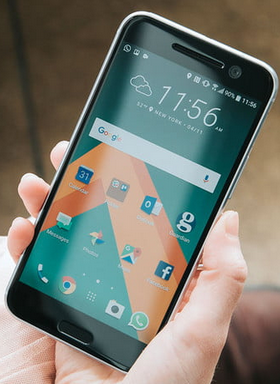 This method works with most android devices provided that you have the necessary drivers installed on the PC and that, the phone is rooted. 1- If the program fails to see the appropriate port (COM) for your phone, disconnect all other USB Cables that might be attached to the PC at that time and retry the process over again. 2- If the drivers are not installed, ensure that you have the necessary ADB drivers installed on the PC and restart the process. 3- You may have to disconnect your PC from the Internet if the necessary ADB drivers are already installed on the PC. Although, I was only able to use the SPD software to change a few iTel androids' IMEI, there have been reports that the software no longer works. Stay tuned for latter developments on iTel and Samsung IMEI tweaks. Thanks.